As many years of crossover have proven, there are few things fans love more than a hypothetical team-up between their favorite heroes. While ubiquitous in comics and increasingly common in film, they are generally accepted to be but a passing fancy in the realm of sports, normally relegated to fantasy leagues and hypothetical "what-if" debates. In 2017, FaZe Clan shocked the Counter-Strike: Global Offensive world with its unprecedented blockbuster trades to form what is one of if not the most star-studded rosters in all of esports. Kinguin and FaZe Clan heavy-hitter Håvard "rain" Nygaard. Astralis mastermind Finn "karrigan" Andersen. Mousesports prodigy Nikola "NiKo" Kovač. Natus Vincere sniper extraordinaire Ladislav "GuardiaN" Kovács. Fnatic superstar Olof "olofmeister" Kajbjer. It was the kind of line-up that, without hyperbole, fans wouldn't have even dreamed as possible in reality. The roster came together on Aug. 20, 2017, and seemed to start out slow with an early exit from DreamHack Masters Malmö in their first outing. Any doubts were quickly quashed in FaZe Clan's next outing at ESL One New York 2017 in what became the team's signature victory: utter, untouchable dominance as strategy, tactics and structure all crumpled beneath the brute force of FaZe Clan's sheer mechanical talent overseen by Karrigan's fluid style of leadership. A follow-up win at ELEAGUE CS:GO Premier 2017 seemed to confirm it; FaZe Clan had demonstrated that ultimately, no issue couldn't be overcome if the players could just out-aim their opponents. FaZe Clan was a hammer and every round was a nail, and teams scrambled to keep up in the sudden arms race as organizations sought to fill their line-ups with as much talent as possible. FaZe Clan seemed to have solved CS:GO. But it didn't last. The problem with FaZe Clan's approach is that it's one-dimensional; either everyone out-frags their opponent, or they lose. And it's not plausible to see players maintain their superstar form at every tournament. This inflexibility is what leads to FaZe's apparent inability to clutch it out. 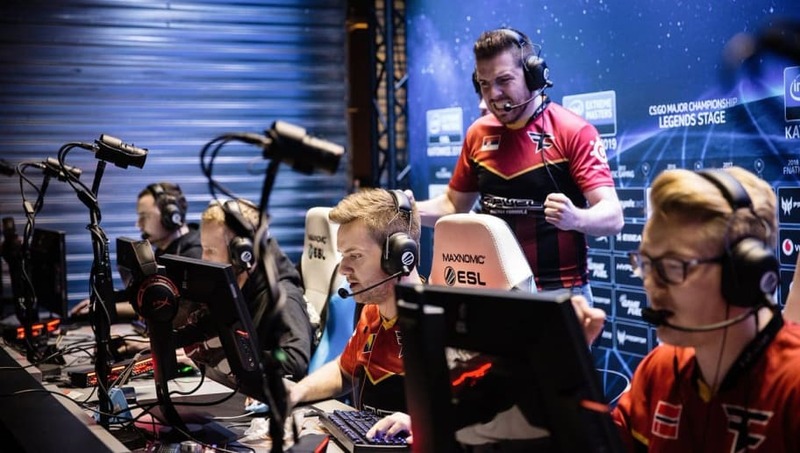 Without core fundamentals to fall back upon when the going got tough, FaZe became prone to unexpected upsets when a player under-performed or an opponent over-performed. Silver medals litter their trophy case from losses against Ninjas in Pyjamas, SK Gaming, Fnatic, and most painfully Cloud9. For a different team, repeated top-4 finishes would be a sign of success. For FaZe Clan, it can only be described as humiliating. The loss to Cloud9 at the Boston Major 2018 is the beginning of a long, protracted, painful end to the dreams of a FaZe Clan era. They achieved a few victories in 2018 even with stand-ins to replace the brief absence of Olofmeister, but this team was built with the vision of winning everything. And here is where the issue of superteams is revealed: what happens when it doesn't win? If a superteam is a flat-out dud, such as the Misfits line-up in the 2019 spring split of the LEC, then it can be dismissed as a failed experiment. If a superteam shows growth over its time such as SK Telecom T1, then there is hope for the future. FaZe Clan is in the nightmarish position where changes have to be made but the sheer talent on the line-up is enough to occasionally squeeze out wins that would normally be impossible for other teams and maintain a false hope. Further, that same talent makes it seemingly impossible to identify which players need to be released or traded and what type of players need to be brought in. In 2019, FaZe is a shadow of its former selves. What was once a contender for an era-defining team is now fighting tooth and nail to even reach playoffs. The removal of karrigan may have been needed if only to try and revitalize the team identity but the lack of a replacement IGL has only hastened FaZe's downward spiral without even the honeymoon period that other teams are afforded by roster changes. All of this is capped off by the cruel irony of seeing Astralis rise in the post-FaZe era as the best team not only at the time, not only in CS:GO, but likely the best Counter-Strike team of all time, and they did it not with explosive superstar talent in every role but by doubling down on the team aspects of the game and its strategic depth. At its height, FaZe Clan showed off the pinnacle of talent-driven Counter-Strike and what could be accomplished by the mythical dream team. At its nadir, FaZe Clan has shown the nightmare scenario in which the players, staff and owners become trapped.